In 2001, Blizzard Entertainment announced that they were developing an MMORPG called World of Warcraft. When the trailer for the game was released at E3, the developers were faced with stiff competition from Star Wars Galaxies. They were saying to themselves that they would be happy to get even 10,000 monthly subscribers, when one of their number yelled out, “F THIS! We’re getting a MILLION subscribers!” A chortle softly rang in the circle as they tried to swallow their nervousness against a juggernaut franchise like Star Wars. 2004, World of Warcraft was released. A week later, the servers crash due to too many players logging in. 2010, their active subscription player base is a staggering 13 Million. Millions anticipating the launch of World of Warcraft: Cataclysm, their 3rd Expansion following Burning Crusade, and Wrath of the Lich King. 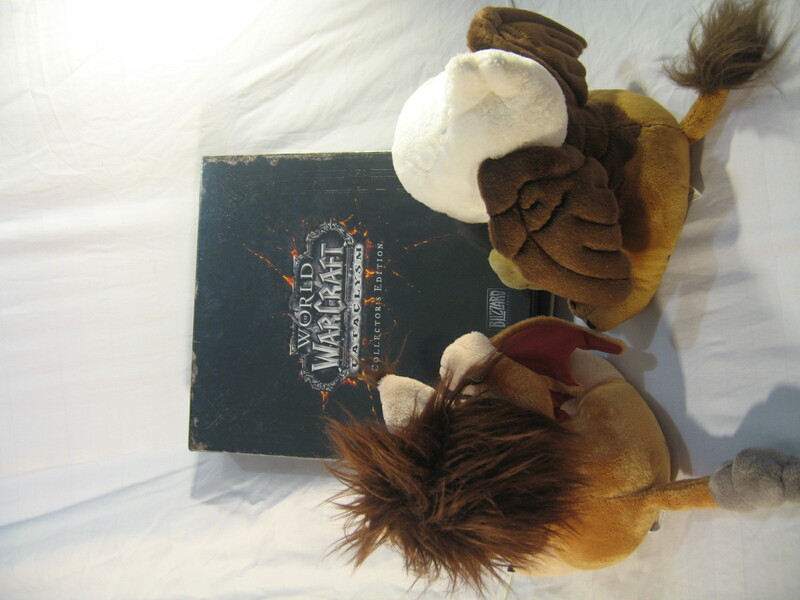 The Cataclysm servers have been up for over an hour as of writing, and here I am gazing lovingly at the Cataclysm Collectors Edition. I can’t wait to open it.